Derived from Hawaiian Haematococcus pluvialis microalgae cultivated under pristine conditions, esterfied astaxanthin is a stable, powerful, fat-soluble antioxidant from the carotenoid family. Haematococcus algae produces astaxanthin to protect itself against ultraviolet-induced free radical damage. Astaxanthin is different from beta- carotene in that it has two additional oxygenated groups on each of its ring structures, enhancing its ability to scavenge free radicals. It is believed to be several hundred times more effective than vitamin E in neutralizing singlet oxygen molecules and has been shown to exert greater antioxidant activity than both zeaxanthin and lutein. 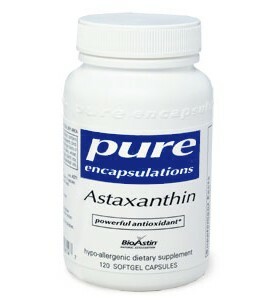 Astaxanthin protects the phospholipid membranes of cells from oxidative damage. In a recent U.S. study, it demonstrated the ability to cross the blood brain barrier and protect the retina in animals, suggesting its potential for supporting the brain and nervous system from free radical damage. Initial trials with astaxanthin suggest that it may boost the skin's natural antioxidant defenses against ultraviolet induced free radicals. In a human clinical evaluation, supplementation with BioAstin astaxanthin for two weeks provided significant antioxidant protection for the skin. In cell cultures, astaxanthin provided greater protection than both beta-carotene and lutein, in part by supporting catalase and superoxide dismutase activity. Astaxanthin may also moderate the activity of polyamines generated by exposure to sunlight. In one double-blind placebo controlled trial, BioAstin astaxanthin significantly supported joint comfort in human volunteers. The results of another human clinical trial suggest that BioAstin astaxanthin supported knee comfort and joint function after strenuous leg exercises. Subjects in a third study using BioAstin astaxanthin reported enhanced wrist nerve comfort. Furthermore, a double blind study conducted in Sweden for the duration of six months revealed physiological benefits for strength and exercise in participants. In one animal study, astaxanthin helped to maintain a healthy bacterial environment in the stomach. In another animal study, astaxanthin supported healthy lipid metabolism. Other studies are in progress to further evaluate its cardiovascular support properties. Enhanced dietary concentrations of astaxanthin have demonstrated the ability to support healthy immunoglobulin activity and immune function. Additional studies suggest astaxanthin's immune and cellular support potential. 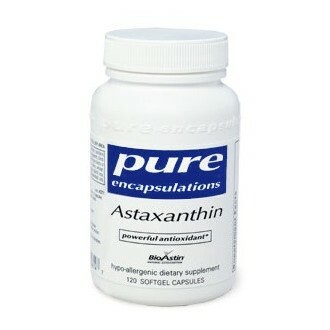 Astaxanthin provides superior antioxidant power, boosting the natural antioxidant defenses of the skin, supporting macular health, promoting healthy immune and cellular function, enhancing joint comfort, providing potential support for the digestive environment, and demonstrating lipid and cardiovascular health properties. BioAstin astaxanthin is formulated in a base of safflower oil to enhance bioavailability, is derived from algae developed under well-controlled conditions, and has been and will continue to be clinically studied. Vitamin E and rosemary are added to enhance stability. The producers of BioAstin hold three patents for use as a human nutraceutical. US Patents 6,258,855; 6,344,210 and 6,433,025.